Migration from an old SharePoint farm or directly from your file shares can be quite a task. You’ve already spent so much time preparing for it, you’ve set up the architecture and the servers. 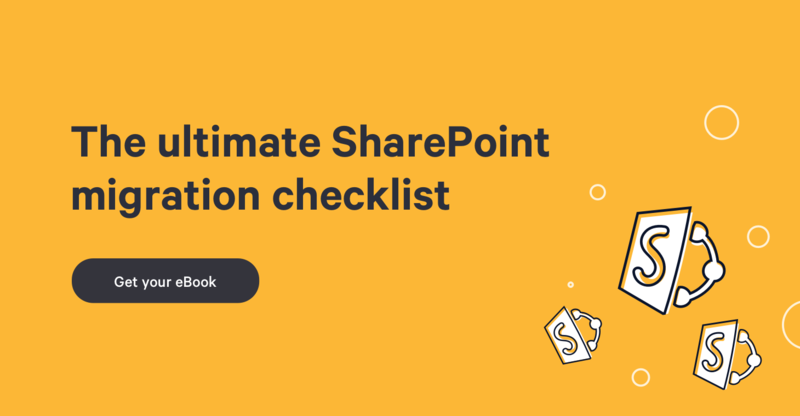 Now all you want to do is migrating your SharePoint Documents, right? I know the feeling, and often missed over a great opportunity to transform my content while migrating. What do I mean by that? Take what used to be lookup columns in a previous SharePoint and use the Managed Metadata instead. But one of my favorite transformations is large documents, usually PDFs, into Wikis. Before we start evaluating if we should convert our PDF or other large documents into SharePoint’s Enterprise Wiki, we need to know what a Wiki is exactly. The word “Wiki” actually means “Quick” in Hawaiian and chosen to demonstrate the speed at which an editor could add, modify or delete content on a page. A Wiki also provides a quick and easy way to link to other existing content. That’s right you read correctly, SharePoint has two very different Wikis. One is a simple Wiki page library and the other is a Publishing Enterprise Wiki. Basically it’s a Publishing Site that includes SharePoint’s Wiki features. The Wiki page library is available right from SharePoint Foundation and is literally just a Document Library that holds what SharePoint defined as a Wiki Page. This is very useful for small, team Wikis since they do not allow the Administrator to create Page Layouts. It allows for quick add, modify and delete using the few given layouts. The Enterprise Wiki however is more suited for Company Knowledge Centers. A Document Library available in all SharePoint versions and in all site templates. SharePoint’s Wiki features for quick linking is available. Only a few layouts for the page are available. Cannot add page properties on the page itself, need to click view properties in the ribbon. An entire SharePoint site dedicated for the sharing of pages using Wiki features for linking content. Based on the same model as a Publishing Site, this site uses the Pages Library for managing the content. Page Content Types using page layouts to define which Fields or Metadata will appear directly on the page. Very useful to create pages and tag them with keywords quickly with Managed Metadata column added in the page layout. The advantage of a Wiki vs a regular page is the quick linking. SharePoint allows an editor to link by using the following commands. You can click on List or View to open a submenu as well. [[Sharegate|Content Migration Tool]] : A link to a page named Sharegate but displayed as Content Migration Tool. While helping clients in their migration, either from file servers or from SharePoint to their new SharePoint Server, I found many of the times they would only focus on bringing everything over and applying metadata. But very few actually try to transform their Data. Remember, we use PDFs because back then this was our “Portable Document Format” – PDF. Today, thanks to SharePoint, we have something even more portable, a Web Page. SharePoint makes editing a Page as easy as writing in Word, why not leverage this and eliminate large PDFs. I did something very similar at a few places but I would like to talk about one particularly. It was a large insurance company looking into migrating their 433 pages PDF document into SharePoint. This document contained individual procedures, which often referenced one another. -Long to publish. If there were modifications to be made, the whole document had to be reviewed for links, republished and resent to everyone. -Almost impossible to search due to the size. We decided to break this PDF into an Enterprise Wiki. Because this is a Publishing Site, it supports Variations, which allowed us to manage our Wiki pages (procedures in this case) in different languages. We started by setting the Managed Metadata Term Group we were going to use. Then we had a designer propose a page layout design which included our metadata (our columns) in it. Of course some fields were only visible for the editor, using the Edit Panel, and some were for the audience. Finally, we created individual procedures as wiki pages, provided links between them if needed using the Wiki links feature. Easy to find articles based on tags or links. Easy to manage publications as each procedure was now an individual page, no longer had to republish everything. Available in multiple languages. Versioning and content approval supported for each procedures. We also used the Content Query Web Part to gather pages with the same keywords or categories and display them as a newsfeed. Best of all though, were the satisfied users.